Details: The project is coming up at Tulsi Nagar in Indore. 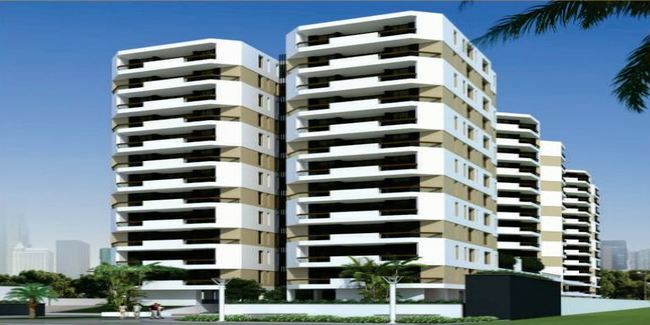 The project offers 3 towers with G+12 floors, having 120 units of 2, 3 and 4 BHK apartments. The area range include 1720-3148 sq. ft.. Apart from the basic amenities, the project offers Landscape Garden, Paved Compound, Rain Water Harvesting, Jogging Track, Swimming Pool, Property Staff, Video Door Security, Club House, Fire Fighting Systems, etc. Scheme No. 54, Indore 452010, Madhya Pradesh.